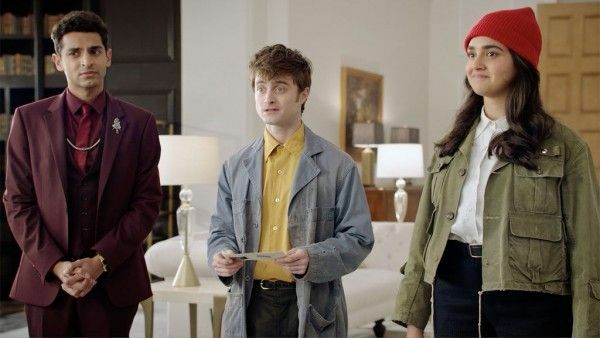 Daniel Radcliffe is set to return to TV in TBS’ new comedy series, Miracle Workers. 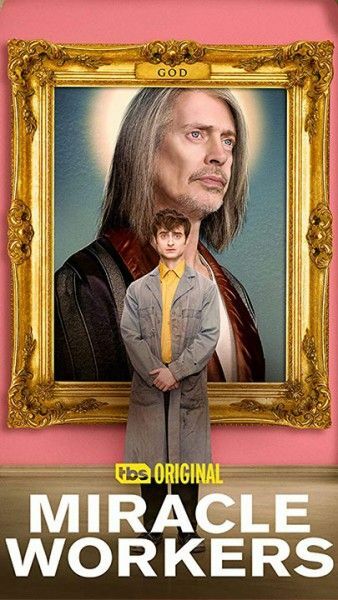 Based on Simon Rich’s book, “What in God’s Name”, this seven-episode limited series turns the perception of heaven on its head while also making the case that humans are worth saving. In the Heaven-sent send-up from the mind behind Man Seeking Woman, Radcliffe plays Craig, a low-level angel responsible for handling all of humanity’s prayers. 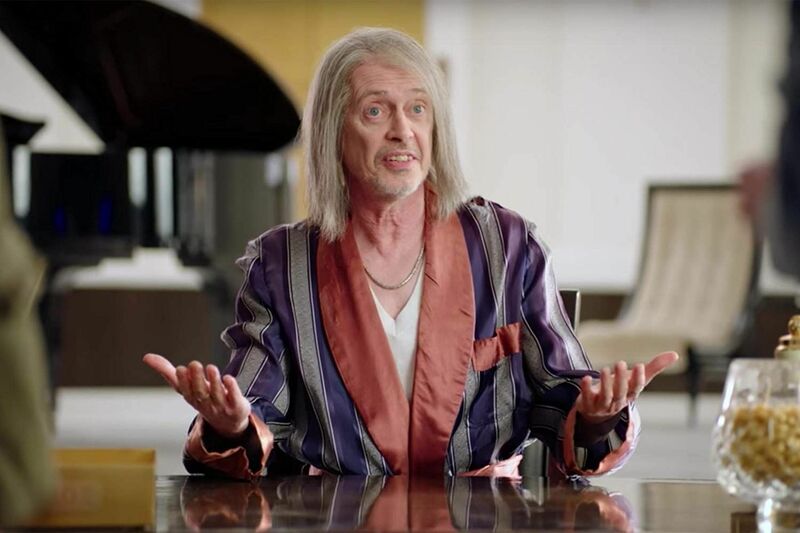 Steve Buscemi plays Craig’s boss, God, who has pretty much checked out to focus on petty hobbies. To prevent Earth’s destruction, Craig and fellow angel Eliza (Geraldine Viswanathan) must answer a seemingly impossible prayer: help two humans, Laura and Sam (played by Sasha Compere and Jon Bass), fall in love. 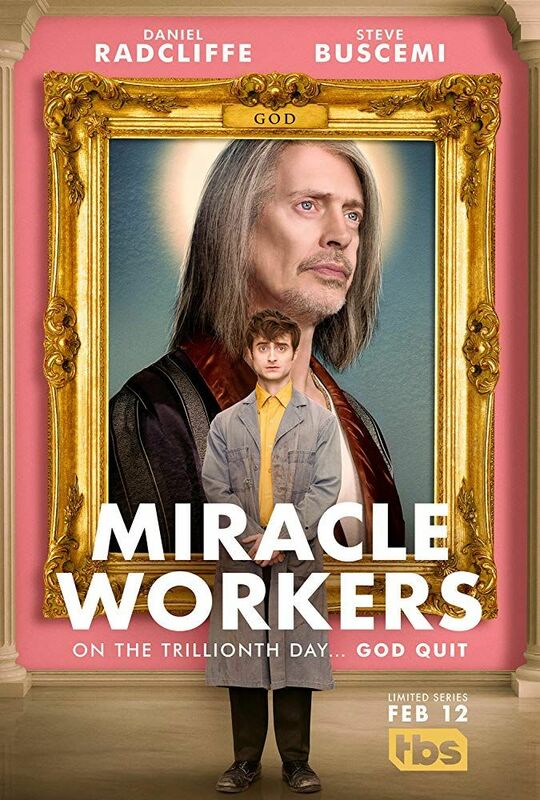 Also starring Karan Soni (Deadpool), Miracle Workers will feature guest stars Tituss Burgess, Margaret Cho, Angela Kinsey, Tim Meadows, John Reynolds, Lolly Adefope and Chris Parnell appearing throughout the season. Look for it on TBS starting February 12th! 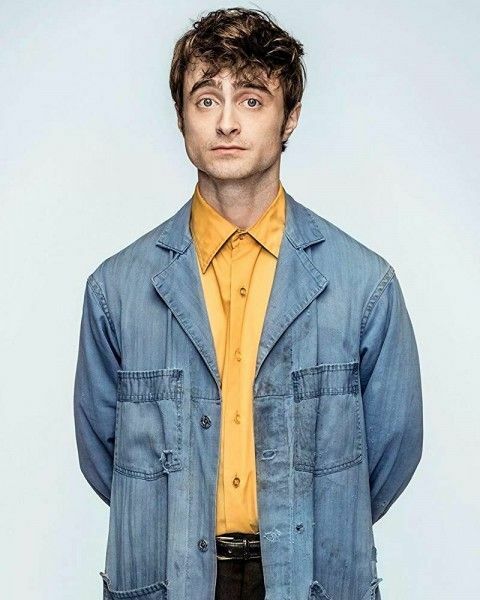 During a visit to the Atlanta-area set with a small group of journalists, I had a chance to chat with Radcliffe about Miracle Workers, what drew him to the project, and his parts to play both in front of the camera and behind the scenes. Filming took place in a disused wing of a massive fiber optics factory which acted as a perfect setting for Rich’s particular version of Heaven Inc. We caught up with Radcliffe before he filmed his character Craig’s scenes in the company’s Department of Answered Prayers, where he spends most of his afterlife. Daniel Radcliffe: I do think that, there’s something lovely about this show. From the moment I sort of started working on it, you could just tell that Simon’s world and the world that he’s built up has kind of inspired everybody, in all the different departments. It’s so rare to get a job where you have to production design Heaven, or find a new take on Heaven, or something like that. And I just think that, that’s the kind of project that … just gives everyone permission to kind of go kind of crazy and just their imagination. And also just the level of detail. I don’t know if you’ve had the chance to see the books and stuff, in the department of prayers, and all the prayers that are on the wall are all very specific, real prayers with pictures of crew members. It’s a lovely, when you step on to the sets and see that level of detail, I always think that’s a really cool, exciting thing. So what specifically was it about this project that brought you on board? 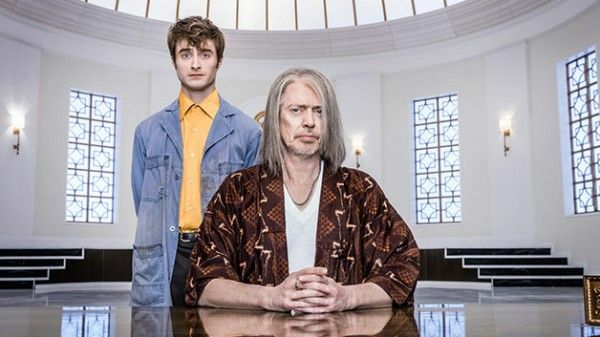 Radcliffe: I mean, I think its really like, it was a chance to work with Simon and work with him over hopefully a number of years. And I just think he just has the most unbelievably creative mind and I’m such a fan of all his sort of short stories and his work. I think one of the intimidating things for me about doing TV is that you are often signing on to something having just read a pilot. And that’s crazy to me. And not knowing where that goes is something that would worry me. But there’s something about Simon that I have absolutely no doubt that he would be able to come up with amazing ideas for how [and] where to go with this show. Obviously [the] next series will not be in Heaven, it will be in somewhere totally different. Hearing how excited Simon was at the prospect of being able to write a show that … there are things that I never considered about writing for TV, but you know, you can’t write an ending, you have to write continuously-open ended stuff. How frustrating that must be, as a writer, so I think, when I hear the excitement in his voice, at the amount of freedom TBS was giving him to just create a world, tell the whole story… So essentially it’s like a long movie, and then you chuck it out and go on to something completely different for the next season. So what was this character? What was intriguing for you? Radcliffe: Well you know, this first series is obviously based off of Simon’s book, so the character of Craig is pretty much how he is in the book. I think he’s probably become slightly more neurotic and nervous, as the writer started writing for my voice. In some ways, there are definitely parallels between myself and this character that I see, but I also think the character of Craig kind of functions as an avatar for Simon, himself, in the story. Obviously it’s his creation and his character, but I think there’s definitely a lot of both of us in it. And also this world. I know Simon has written for Pixar, and The Simpsons, and lots of animated stuff, but I definitely picture this world somehow as–even though I’ve been filming for four weeks–as still being an animated Pixar movie, it just has that, in the same way that Inside Out did. As well as it being a great story, with great characters, there’s an intricacy and a playfulness to the world, where you just want to spend time in it, and see how more of it works. And, to me, that’s a very exciting thing, as an audience member, where you just want to get back to being in that space with all these characters. This version of Heaven has a corporate name. Can you talk a little bit about the hierarchy and how your character fits into that hierarchy? Radcliffe: Yes. Very, very lowly. So I think, contrary to what we, as human beings on Earth, would hope for, the answering of our prayers is very low priority in this version of Heaven. Craig, my character, takes an incredible amount of joy and pride in his job, but he’s like a one-man army, he’s literally a one-man band receiving millions of prayers a day; answering like three or four, that’s like a good day. 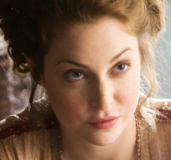 Then when Eliza comes into the story, in the beginning, she kind of comes in with an attitude of, “Wait, what the hell are you doing? You have an opportunity to make a massive difference to people’s lives, and you’re just sort of doing these tiny trivial prayers.” But then she finds out, in her zeal to try and make a massive difference in the world, that actually it’s very hard to do that without there being some sort of horrible butterfly effect that launches something terrible else halfway around the world. Simon’s humor, hopefully, combines some very, very light fun stuff with some very, very dark. We are trying to save the world, so at a certain point, the ends justify the means, to a certain extent, for our characters in this series. We do some bad things to people who are getting in our way in order to try and save the world. You’ve only got seven episodes, so I’m curious about the scope. Do we get to see Craig sort of like, super enthusiastic and then kind of waning over time, or is the story kind of just focused on one particular point in time? Radcliffe: Yeah, no, it’s focused on one particular, sort of, I guess just over two week time period. But you certainly see everyone kind of run the gamut in that thing. Simon had a great analogy for the series actually. What he said was it’s kind of like a sports movie in that a lot of the drama from it comes from, not how’s it going to end, but actually how are they going to assemble the team. So it starts off with just me, and I’m useless on my own, and Eliza, and she’s kind of too enthusiastic for her own good on her own. And then we meet and sort of balance each other out. And then it’s about us learning that we’re not enough, so we maybe have to go with some characters who we don’t won’t to, or we find intimidating, and try and bring them into the team. It’s sort of about the ups and downs of the relationships along the way. And also my favorite description that Simon has is half the movie is like this crazy high-stakes almost action movie … it’s not an action movie, but it’s that sort of feel of incredibly fast tempo and high stakes craziness, all the time. And then the other half is just like this [romcom] movie about these two kids trying to go on a date. And hopefully the flipping back and forth between these two, and seeing these people on Earth completely unaware of the weight that their story is carrying, and the fact that there are literally angels watching them, depending on their every move … hopefully, a lot of comedy will come from that as well. How did Craig get this gig? Radcliffe: That’s a great question. Is that addressed or not really important? Radcliffe: I don’t think it’s addressed. Everyone is randomly assigned roles when they get in to Heaven, and it’s random weather you get into Heaven, in our story, as well. There’s one moment when Eliza is trying to rally the troops, and she’s like, “Come on guys, you know, we’re all in Heaven, that means we’re the best humanity has to offer.” And somebody else is like, “No, no, no, that’s not how it works. It’s random.” I think that’s definitely one of the things that Simon has enjoyed, is just like messing with what expectations of Heaven would be, and generally, I think, being pretty disillusioning to people. But, in terms of how Craig got his job, I assume he was randomly assigned and has just sort of taken to it and loved it, and made it his own. These angels don’t have wings? Radcliffe: No, no. No wings, no halos. You mentioned that this was the earliest that you’d ever been involved in a project. So how did you inform the character of Craig? Radcliffe: I don’t know. I suppose in a way that I’m not trying to give you no answer, but I think that’s probably more of a question for Simon. Simon and I definitely had conversation about how I saw Craig, particularly in moments at the end of the series. 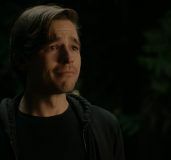 It’s normally like I’d say, “I think maybe Craig needs to have something there to sort of tie that together.” And then Simon goes off and writes an amazing scene. So it’s generally that’s the input I had, was just going, “Maybe something that…” And then Simon did something amazing, and it was exactly what it needed. So it was cool being involved in that part of the process. And yeah, I think, as I said, I think Simon and I are quite similar people. I’m like a dumb version of Simon. 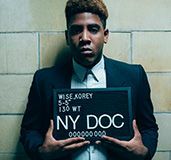 But I do think, talking about the character, that we were often finding a lot of common ground, particularly around stuff … the most I ever ever feel like myself and comfortable is on set working, and I think that’s something that Craig has as well. When he meets Eliza, in the beginning, he’s thrilled to be meeting her at work, because that’s kind of the place where he knows, and he can show off and be his version of cool. And then outside, anywhere removed from that, in a slightly social situation or in a situation anywhere else around the sort of cavern, or the campus of Heaven Inc, he’s pretty useless. I think Simon and I have experienced versions of that same sort of feeling. So you know, conversations like that. What do you think that people will respond to specifically with Miracle Workers? Radcliffe: Oh, I don’t know. You just hope that it finds an audience and that people like it. The thing that I find lovely about it is that, first of all, the world that it is in I genuinely think is so imaginative and creative and wonderful and fun. 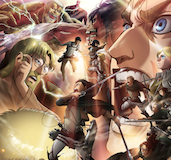 And I think that is really powerful, in terms of people wanting to watch the show. I’m not saying this is like Harry Potter, but I think it’s the reason that Harry Potter was very successful as well, was that world, and you wanted to spend time in there. So, no matter what iteration of it it is, you sort of just want to go back and see more of it. I think this has that same feeling. I think it’s really, as I said earlier, there’s some darker humor in it, but generally speaking, I think it’s incredibly kind and heart-warming and happy comedy. And I think it’s very hard to do comedy that is just not in any way mean or cynical. There’s a huge amount of warmth for just humanity, and the awkwardness of being human. And I think there’s a huge amount of love in the series. And I know that sounds like just a cheesy, corny thing to say, but sometimes you watch some comedies, and you’re like, “Ah, man. 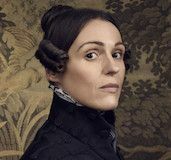 I feel like this is really funny.” But often you’re like, “I feel like writers kind of hate the characters.” Whereas, I feel like, with this, there’s an incredible amount of … even our depiction of God is kind of crazy. And Steve [Buscemi] is sort of a child in it. But even in that character and even in that depiction of him, there’s still a huge amount of love for that character, and hopefully that sort of comes across. Ultimately, what I’m saying is I think it’ll be a very happy show to watch. And so I think people want that I think. How did this marry with your own upbringing of what Heaven was, and your concept? Because we’re either affected by what our parents feel or what religion institutions teach us, or cinematically, there are versions of Heaven. Radcliffe: Yeah, I mean, that’s the thing. I feel like most of my versions of Heaven were from like, cartoons and Terry Pratchett books. My mum and dad were, I think they definitely both believe in God, I think. But it’s not something that we, as a family, it was never something that was passed on to me, in terms of, “This is what Heaven is and this is where you’re going to go and not go.” I’ve never been particularly religious, but I’ve always been fascinated by religion and also found it amazing. There’s reason religion has such an important place in all of our lives, and is reflective of where we, as a species, have been at every point in our existence. And so there’s something to it, and there’s something, I particularly think, from a storytelling point of view. I did a movie called Horns, which is a similarly weird. Like, I’m not religious, but it’s a weirdly very religious movie. And it’s quite straight-on on its take on demons and angels and redemption and that kind of stuff. And so I think, I don’t know, maybe it’s just pure exploitation, but I feel like Heaven and religious symbolism, and stuff like that, is incredibly fertile ground for storytelling. Because it is why things like Good Omens, the Terry Pratchett and Neil Gaiman book that I was thinking of earlier, one of the reasons that’s so good is that it just plays with things we sort of already know about Heaven and reinvents them in ways that are pleasing and fun. And I actually think this world is less religious than the Heaven in Simon’s book. The Heaven in Simon’s book is kind of a straight-up Christian Heaven. I think Jesus is mentioned directly. This is much more sort of secular. Like it is like a corporation, it’s definitely a non-denominational kind of just omnipresent organization, I don’t know. The closest we ever get to some direct religious parody, or something like that, there’s one episode where God gets a prophet, and that’s great. That’s one of my favorite things, but I don’t want to say too much about it. Do we know how Craig gets to Heaven? Do we know what happened to him on Earth? Radcliffe: You do find out about his past life, yeah. Well Craig’s life on Earth took place at a time where he was actually probably towards the top end of human life expectancy when he died. It’s one of my favorite jokes in the series actually is you see all of our past lives, all the three main angels, what we did on Earth. But I’m not gonna say anything more about that, because it’s such a great joke. Those particular jokes remind me of the jokes in movies like Airplane, where you just are like, “Whoa, how much time was put into that four-second joke?” Because they’re all very, very short, but we all had sets made specifically for that. It’s one of my favorite moments, but I won’t say any more about that.